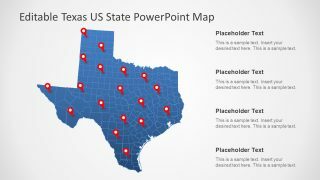 The Texas US State PowerPoint Map is a geographical presentation to display locations. 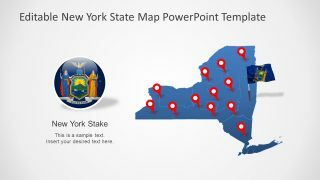 These maps are suitable for all presentation types including tourism, marketing, business opportunities, and geographical knowledge. There are 7 slides, displaying various map versions for Texas US. The state of Taxes has 250 counties. 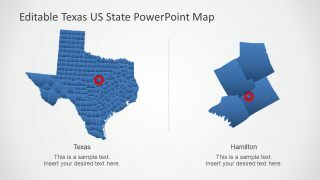 And this PowerPoint map template contains editable segments for each county join into Texas map shape. 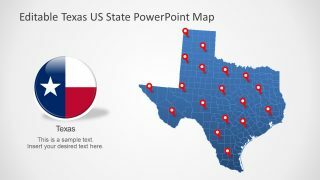 Further, this PowerPoint map template provides useful clipart icons to decorate it and make information more visible. These include flag badge, flagpole, location pins etc. 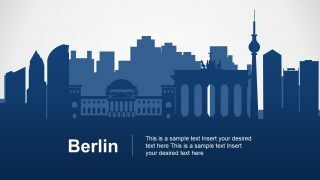 The users can add more shapes and icons by inserting desire image to PowerPoint. 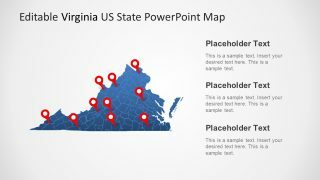 The PowerPoint map template of US State counties benefits the geology students to view and zoom-in any segment for details. While experts in tourist industry may show the routes and important locations. 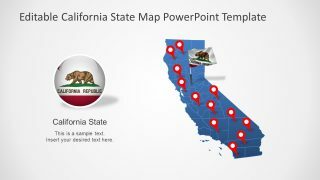 The business industries can take maximum advantage of map PowerPoint templates. Because they can add one or two slides and demonstrate the company’s global reach as a part of complete presentation. 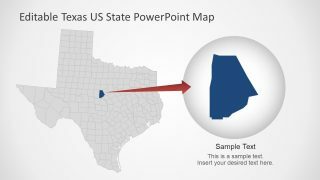 Instead of copying map images to the presentation, users can resize and adjust this map template without affecting its resolution. 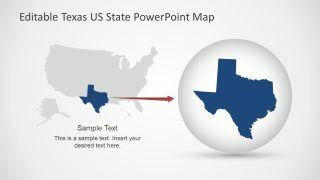 A digital presentation of Texas US State PowerPoint Map is a vector format. These vectors include state and county borders, zoomed-in and two contents highlight version of counties. 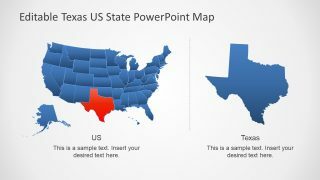 This map presentation could be used along with other US State maps available in SlideModel. Such as Florida, Georgia, Alabama, South, and North Carolina etc. 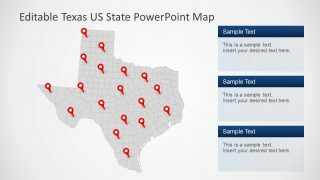 One of 7 slides in Texas PowerPoint provides a complete editable USA map with its 52 states segments. The initial color theme is blue – gray – white, but users can customize it through theme change or color fill. Similarly, they can make changes in colors and sizes of clipart icons. However, the flag badge is a high-resolution picture with options to resize or apply effects.